Psoriasis doesn’t only leave you feeling uncomfortable about the appearance of your skin; it’s also known to cause discomfort and even bleeding. 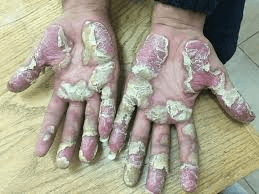 Before going through another psoriasis flare-up, visit with Jonathan Schreiber, MD, PhD, a leading psoriasis expert at Integrated Dermatology of Tidewater in Norfolk, Virginia. Rest assured Dr. Schreiber and the expert team can help you find relief from psoriasis relief right away. Book your visit by calling or scheduling your appointment online today.